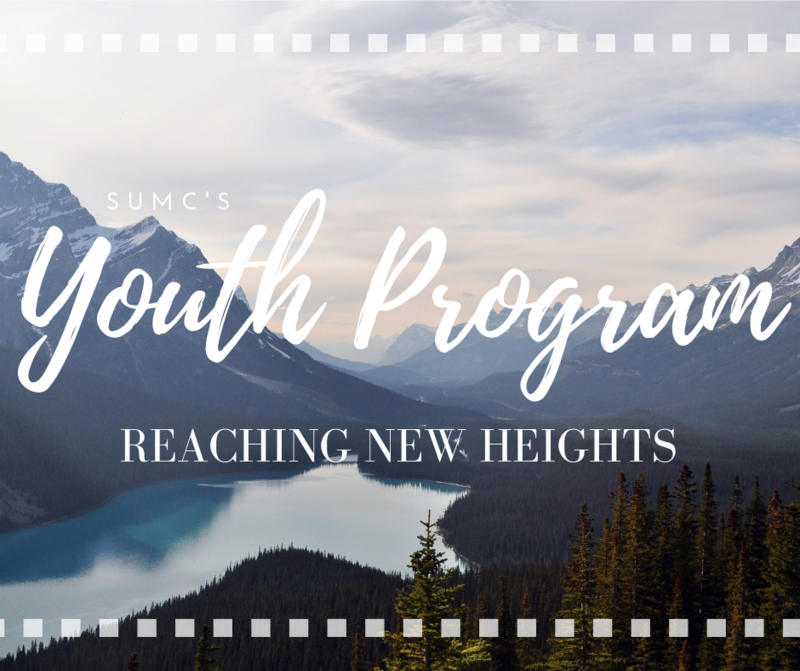 The Sterling UMC Youth Program has been in a period of transition for the past year or so, but now we are getting ready to launch a new program to reach youth from 6th to 12th grade. This new program includes a revamping of the framework that has already existed – Sunday morning classes and Sunday evening youth group – as well as some new ideas, like the Wednesday Night programming. The ultimate goal of every program in our line-up is to cultivate a cohesive group of youth who together can pursue a relationship with the Lord. Each event will contribute to this goal of creating a community of believers where youth can feel comfortable to express who they are, feel loved where they’re at and grow stronger in their faith. On Sunday mornings, our youngest youth will be gathering for confirmation class (grades 6 and 7) and the older group will attend a class called Growing Deeper at 10 for Teens (grades 8 through 12). Each class is designed to get at the heart of what we as Christians believe. For our confirmation class, this may be the first time they are confronted with the realities of what they believe and what it means to call yourself a Christian. And for our older class, it will be a time to revisit some of the fundamentals that they may not have thought about in a few years and recognize what it means for them now that they are teenagers. The other class that we are offering for our youth will take place on Wednesday evenings, during SUMC’s new Wednesday Night Fellowship. After an optional fellowship dinner, middle school and high school youth will break into groups to have a more in-depth study about the Bible. Understanding how to read and study the word of God is fundamental to living a life centered on Christ. So, with classes designed for each age group, we will dive into the word of God and learn how to study and learn from a text that can be confusing if we don’t understand how to interpret it. Now, let’s talk about youth group. What exactly is youth group; it can feel like such a vague and all-encompassing term at times – what do we do? What do we learn? Why is it important? Well, youth group, at its heart, is a time to supplement each of our other programs with a time of fellowship and fun. We eat dinner together, we play ridiculous games and we also have a time for short worship. Youth group is not designed to replace a church service, but rather it is a time to build relationships with peers who are also learning about what it means to be a preteen or teenager pursuing a relationship with Jesus in our culture today. Ultimately, the youth program here at Sterling United Methodist Church has a rich history of success. Hundreds of youth have passed through this program, each developing a strong relationship with Christ and in the process creating lifelong friendships with their peers. The launch of our new youth program will hopefully reflect the success of years past while also looking forward to the growth of the future.